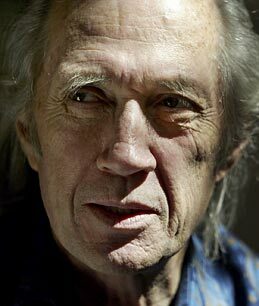  David Carradine, star of the 1970s TV series “Kung Fu” whose career roared back to life when he played the assassin-turned-victim in Quentin Tarentino’s “Kill Bill,” was found dead Thursday in Thailand. A published report said he committed suicide. A police officer at Bangkok’s Lumpini precinct station would not confirm the identity of the dead man, but said the luxury Swissotel Nai Lert Park hotel had reported that a male guest killed himself there. He returned to the top in recent years as the title character in Quentin Tarantino’s two-part saga “Kill Bill.” The character, the worldly father figure of a pack of crack assassins, was a shadowy presence in 2003’s “Kill Bill  Vol. 1.” In that film, one of Bill’s former assassins begins a vengeful rampage against her old associates. In “Kill Bill  Vol. 2,” released in 2004, Thurman’s character comes face to face again with Bill himself. The role brought Carradine a Golden Globe nomination as best supporting actor. Bill was a complete contrast to his TV character Kwai Chang Caine, the soft-spoken refugee from a Shaolin monastery, serenely spreading wisdom and battling bad guys in the Old West. He left after three seasons, saying the show had started to repeat itself. But after the early 1980s, he spent two decades doing mostly low-budget films. Tarantino’s films changed that.